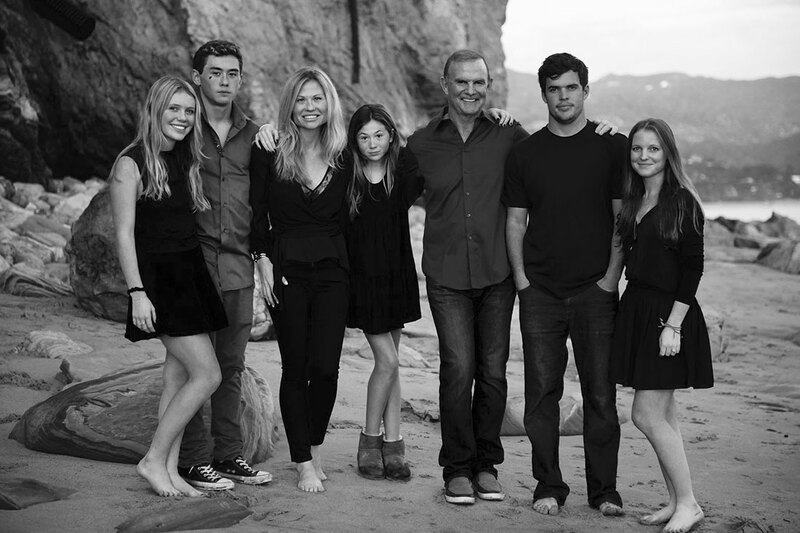 Our blended family of seven, drawn to the beauty of Santa Barbara's wine country, decided to plant roots and embrace vineyard life in Santa Rita Hills. We firmly believe in the potential for love and devotion to restore all things, that no challenge is insurmountable, and so we worked to turn this once abandoned vineyard into a source of exceptional Pinot Noir and Chardonnay grapes. Armed with passion, resilience, and the desire to become more immersed in nature, we dedicated ourselves to honoring the land with the highest quality farming. Our dream is to make Strange Family Vineyards a part of the every day celebration of life—to promote love and family with the hope of making a difference in the world. The eagle on our label is a symbol of our son, brother, hero, and the source of our inspiration. May we all choose freedom over fear and soar just as he did. Thank you for being a part of our journey. and soar like an eagle.